The incoming STK restaurant, which is slowly moving into the space long left dormant by the 2014 closure of Katsuya within Andaz hotel, has hired San Diego native JC Colón as their Executive Chef. With recent experience running the kitchens at Flour & Barley in The Headquarters and Searsucker Del Mar before that, Chef Colón should be an ideal fit at this stylish, modern steakhouse concept, set to open this Fall. STK is an upscale steakhouse-lounge-nightclub brand (think blaring DJs paired with pricey cocktails, cuts of steak and seafood) from New York City based The One Group Hospitality, with over 20 locations open and in the works all over the world. At 4,200 square feet, the San Diego restaurant will include both indoor and outdoor seating along with two private dining areas. The One Group will also be overseeing a refresh of the Andaz's rooftop bar and lounge and handling room service for the hotel. The San Diego STK was originally planned to be a more approachable and affordable offshoot of The One Group's STK concept (called STK Rebel), but that idea was scrapped. Chef JC Colón will add his culinary flare to a portion of the dishes on the new STK San Diego menu. Colón received a Grande Diplome from the French Culinary Institute in 2007 and began his culinary career at Nelson Blue in New York City’s financial district. Upon moving back to San Diego, he honed his craft working under Chef Joe Magnanelli at Cucina Urbana as a sous chef before taking the position of Chef de Cuisine at the Urban Group's now-shuttered Kensington Grill. Chef Colón then took the lead at Coronado's Leroy's Kitchen + Tap before moving on to the Executive Chef role at Brian Malarkey's Searsucker Del Mar. Most recently, Chef Colón was the Chef de Cuisine at Flour & Barley in The Headquarters at Seaport Village. 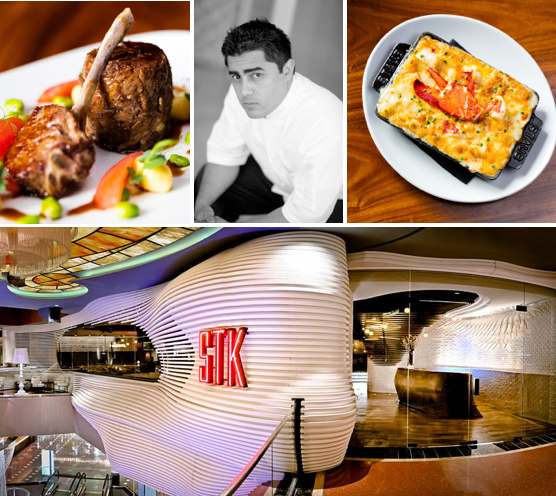 STK is located at 600 F Street in San Diego’s historic Gaslamp Quarter and is anticipated to open this October. For more information, visit stkhouse.com.